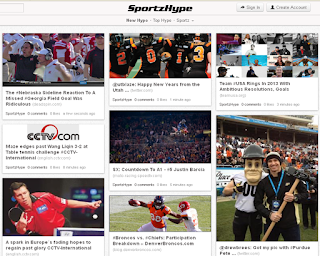 If you like your social media but love your sports then take a look at SportzHype. The website is new and works like Pinterest – if you see a video, article or picture that you like you can post it up on to your own page. If that sounds a bit too much like hard work then you can simply read up on what everyone else has been posting on to the site instead! In a neat twist, you can like what you see but when you do this the posts are hyped (sounds a lot more honest than other sites!). There are a number of different hypes, ranging from hot to top. This may sound a little complicated but it isn’t. Sportzhype is really easy to use and what’s more it’s for sporting fans of any kind whatsoever. Give it a go!